When I’m making a gift for somebody, I like to make it as simple, cute, practical, and inexpensive as possible. 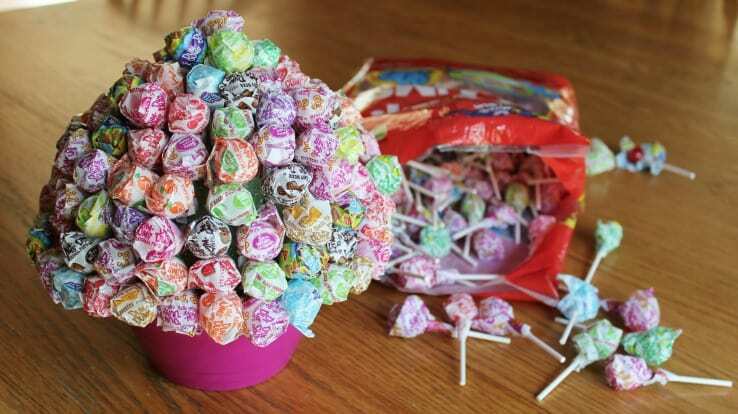 This simple lollipop bouquet is as simple, cute, practical, and inexpensive as you can get! A planter, bowl, or cup. 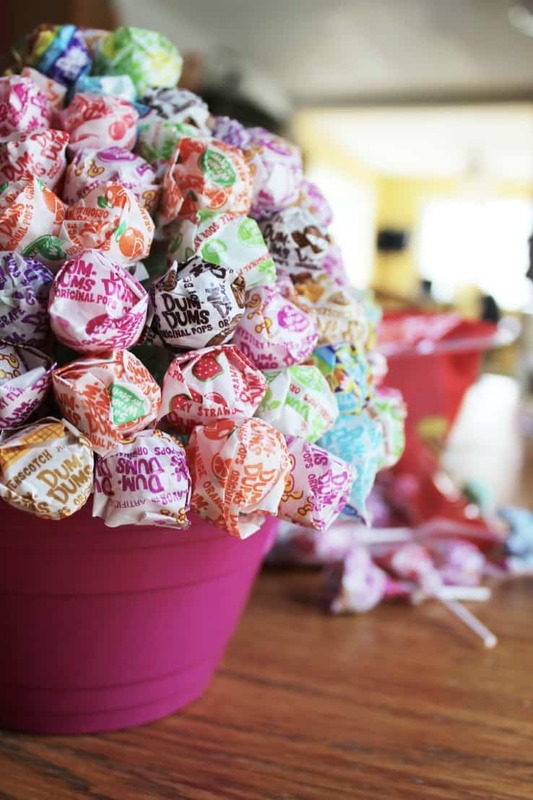 A bag of lollipops, blow pops, or any type of candy on a stick. A ribbon to tie around the base. I decided to make this cute little gift for my Mom. My Mom recently moved into an assisted living facility. It’s very nice! Almost like her own little apartment. She has her meals made for her, her medications managed, and any extra assistance she may need. BUT, her living space that she now calls home is very small. We have framed collages, a pretty bedspread, and little knick-knacks in her room to make it feel more home-like. But other than that, there’s really not much room for anything else. So when I was trying to think of a meaningful Mother’s Day gift for her, it was tough to come up with something. Any gift that can be consumed is the best, most practical kind of gift for my Mom. 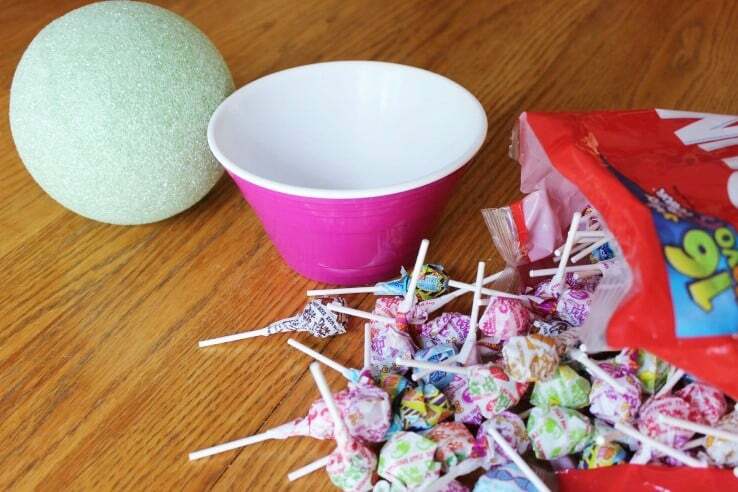 And the plastic bowl can be used to hold small things on her nightstand when she’s done with the lollipops. All I did was place the foam ball on top of the bowl. Then I just started inserting the lollipops into the foam ball in rows, starting at the bottom. 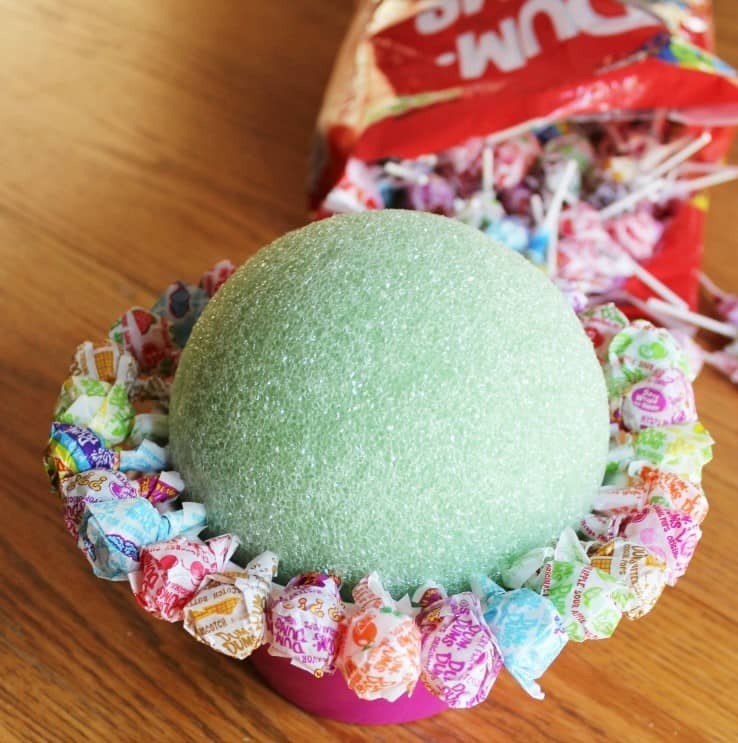 Because I used the small lollipops, it took quite a bit to cover the foam ball. Hence why I bought the jumbo bag. Plus, I had to sample them to make sure they tasted okay! It turned out really cute! My Mom can offer them to any visitors who come by to see her. Always helps to be the ‘favorite’ one! 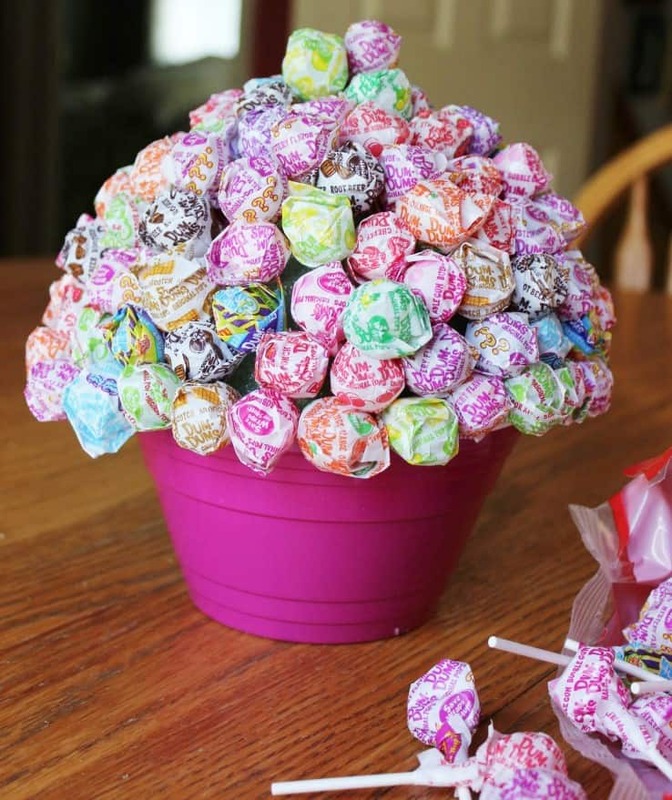 This simple lollipop bouquet and a few celebrity magazines will be the perfect Mother’s Day gift for my Mom! This cute idea can be used for birthday party favors, teacher gifts, hostess gifts, or basically any occasion. You can make it as simple or as intricate as you like. 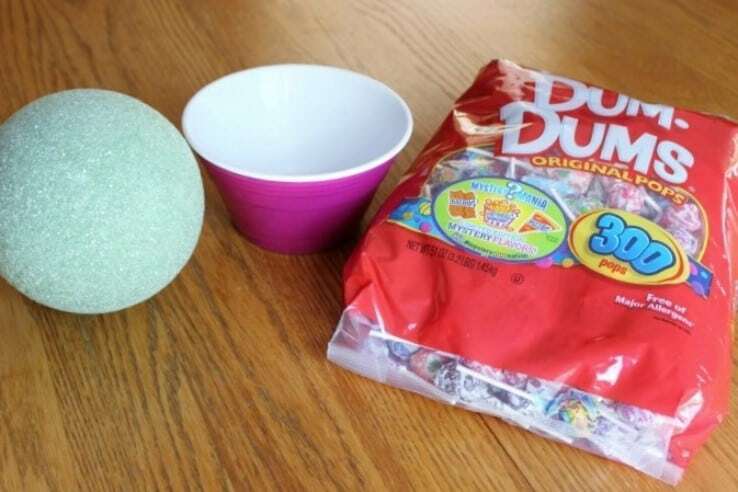 As long as you have some sort of container, a foam ball, and something that comes on a stick, the possibilities are endless. Then tie it up with a bow! What clever, practical gift ideas have you made for someone in your life? Too cute! I make these for milestone bdays. So fun and people love a handmade gift! Thank you Pam! It’s so simple but so cheery and fun!